Jimmie's Pizza was established in 1974. We are a family business that has built our success on referrals and on serving great pizzas to West Hartford and the surrounding towns for over 3 generations. 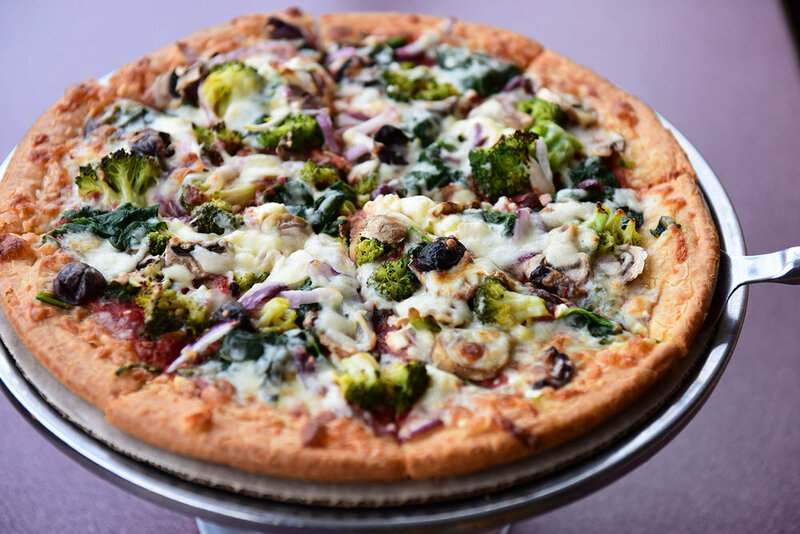 We would love for you to come in and enjoy a hot delicious pizza or one of many other menu items. The Restaurant is open 7 days a week for dining in, take out and corporate delivery. Welcome to Jimmie's Pizza Restaurant! Having the privilege of working in an industry that I love and in an area so special to me makes everyday a memorable one. 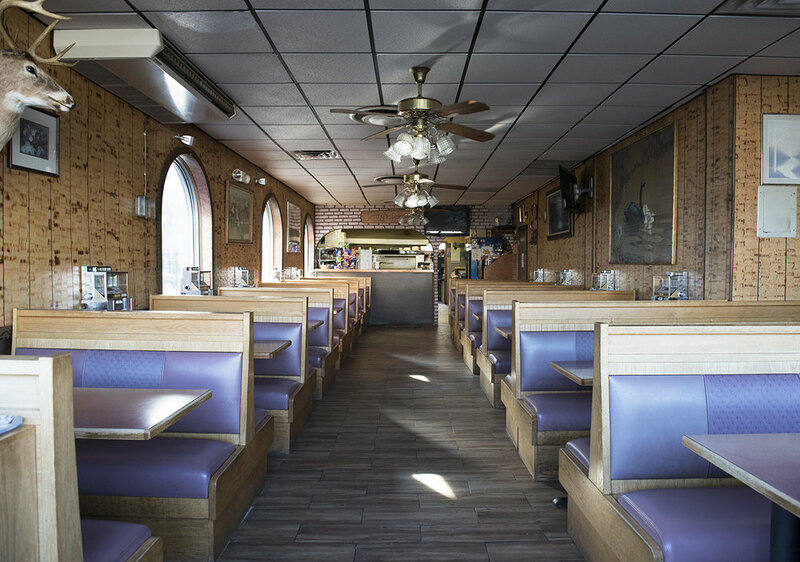 At Jimmies Pizza we have put a great deal of energy into assuring that our guests are welcome and treated as family while dining at our place. I thank you for making Jimmie's Pizza the place that it is, and for allowing me to share in the joy of all things with you and your families. The staff at Jimmie's Pizza would like to thank our customers for their continuous support for almost half a century. We work hard to keep Jimmies Pizza the same as when it was first opened. With Lettuce, Tomato, Peppers, Cheese, Oil, Vinegar. Comes in 8"/ 16" Also available on Gluten Free Baguettes. Sandwiches are served with lettuce, tomato, mayo french fries. Comes with Ricotta & Mozzarella $8.95 and you can add any of the items on the pizza section for $1.35 each. New York Style Thin Crust Pizza Made On Request! Available in 3 sizes. Sausage, Mushrooms, Hamburg, Pepperoni, Peppers, Onions and Mozzarella. Mozzarella, Feta (Goat Cheese) and Ricotta. Spinach, Feta Cheese and Mozzarella. Mushrooms, Peppers, Black Olives, Sliced Tomato and Mozzarella. Hamburger, Sausage, Pepperoni, Bacon and Mozzarella. Hamburger, Feta Cheese, Eggplant and Mozzarella. Mozzarella, Feta Cheese, Sliced Tomato and Black Olives. Homemade Pesto sauce (no nuts), fresh tomatoes topped with mozzarella cheese. Seasoned with Olive Oil, Oregano, Chopped Garlic & Grated Cheese and Mozzarella cheese. Seasoned with olive oil, oregano, chopped garlic, and grated cheese. Fresh Tomatoes, Fresh Basil, Fresh Mozzarella, Herbs, and Grated Cheese. Fresh Chicken in homemade Pesto Sauce (no nuts), fresh Tomatoes, topped with Mozzarella Cheese. Buffalo Chicken, Blue Cheese Sauce and Mozzarella. B-B-Q Chicken, Red or White Sauce and Mozzarella. Fresh Sliced Tomato, Garlic, Basil, Olive Oil, Spices, and Mozzarella. Roasted Garlic,Grilled Chicken,Artichoke hearts,diced tomatoes. Add one topping from our list. Add up to 2 toppings from our list. Add up to 3 toppings from our list. Add extra cheese to any pizza you like! All Dinners served with salad and bread and butter.Gluten Free Pasta on Request. Egg battered chicken breast sautéed in a lemon, butter, and white wine sauce, served with your choice of pasta. Fresh chicken sautéed in butter with mushrooms in a marsala wine sauce, served with your choice of pasta. Fresh chicken breast simmered with onions, peppers & mushrooms in our marinara sauce, served with your choice of pasta. Fresh chicken breast and broccoli in Creamy Al Fredo Sauce, served with your choice of pasta. Chicken and shrimp sautéed in a lemon, butter and white wine sauce with garlic, served with your choice of pasta. Spinach Cheese Tortellini in Creamy Al Fredo Sauce, served with your choice of pasta. Fresh homemade pesto (no nuts) sautéed in olive oil with fresh garlic parmesan sauce, served with penne pasta. Battered Eggplant rolled with Ricotta Cheese topped with Marinara Sauce and Mozzarella. Fresh chicken breast sautéed with olive oil and fresh garlic pesto sauce, served with penne pasta. Italian sausage sautéed with peppers and garlic in our marinara sauce served with penne pasta. Jumbo shrimp sautéed in a lemon, butter and white wine sauce with garlic, served over pasta. Seasonal vegetables sautéed in garlic and olive oil served over pasta. Cheese or Meat Ravioli in a creamy butter-vodka sauce. A delicate blend of fresh garlic, olive oil, and spices, served over pasta. Penne pasta, tomatoes, garlic, fresh basil. Spaghetti, Shells or Ziti with Sauce. Spaghetti, Shells or Ziti with sausage. Spaghetti, Shells or Ziti with meatballs. Chicken Parm. w/Spaghetti, Shells or Ziti. Your choice of boneless wings, buffalo wings, poppers or mozzarella sticks up to a total of 50. Comes with buffalo, ranch & marinara sauce.